Impression Healthcare (ASX: IHL) has taken its total partnership marketing reach to more than 1 million grassroots sporting club members and participants following the announcement on Tuesday that it has partnered with national sports body, Hockey Australia, extending its customer marketing access by an additional 90,000 hockey players across Australia. This agreement builds on the group’s Gameday operation’s existing Hockey New South Wales, Hockey Victoria and Hockey Western Australia partnerships. As a backdrop, Impression Healthcare offers Gameday Mouthguards as its first product offering, with additional products planned for marketing. The product makes traditionally expensive custom mouthguards accessible to everyday Australians by providing a convenient, online, end to end process by which customers can take their own dental impressions at home and receive a superior custom fit product. Impression Healthcare’s Chief Executive, Matt Weston, highlighted on Tuesday that hockey is a fast, high contact sport which demands the appropriate protective gear, perhaps pointing towards its potential for the rollout of other protective products in line with the group’s business strategy. 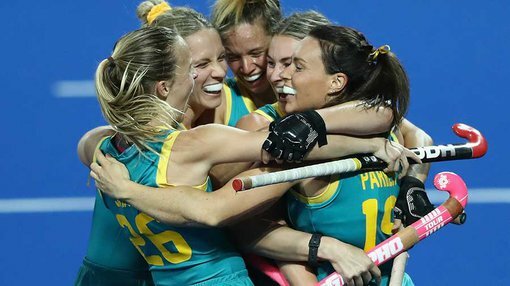 Assessing the scalability of the Hockey Australia deal, the national body is targeting 250,000 registered hockey participants by 2020. However it is unclear how many of these participants IHL will be able to convert, and as a company still in its early stages, investors should seek professional financial advice before making an investment decision. The two-year agreement currently provides Gameday with direct marketing access to Hockey Australia’s 160,000 participants to directly market and promote its mouthguards nationwide with over 70,000 of these participants already accessed via existing relationships. Potential upside from the existing agreement is the possible introduction to international hockey governing bodies of six countries which could incorporate a range of promotional opportunities from social media campaigns to signage at international tournaments.